they are courtroom thrillers or cozies? Want to discuss these books with other mystery lovers & discover new authors? Join the Mystery Reading Group. The group will be discussing The Shape of Water by Andrea Camilleri. The Northshire Mystery and Thriller Reading Group will meet on Thursday October 17th at 2pm in the bookstore conference room for a discussion of The Shape Of Water by Andrea Camilleri. If you are a member of this reading group, please stop by the bookstore to pick up your reserved copy of this title (and receive a 20% discount) Please email Sarah Knight at sknight@northshire.com to inquire or join this group! Inauguració de l'exposició formes de camilleri. El comissari Salvo Montalbano, l'escriptor Andrea Camilleri i Sicília. A càrrec de Paco Camarasa. Wednesday, April 10, 11 & 12, 6:30 p.m. Journey to Sicily with mystery author Andrea Camilleri and Harmons Cooking School. The epicurean Inspector Salvo Montalbano in Camilleri's mystery, Excursion to Tindari will pair delightfully with an enticing Sicilian menu created by Harmons master chefs. Our Mystery Book Discussion Group meets the third Friday of every month. This month the group will be discussing The Wings Of The Sphinx by Andrea Camilleri. Reminder: If you're a member of our book discussion group, you'll get this book at a discount! Andrea Camilleri, De Siciliaanse opera. Chicago Public Library discusses The Shape of Water. 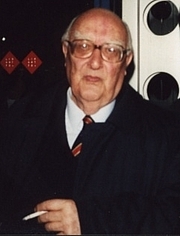 Andrea Camilleri is currently considered a "single author." If one or more works are by a distinct, homonymous authors, go ahead and split the author. Andrea Camilleri is composed of 12 names. You can examine and separate out names.